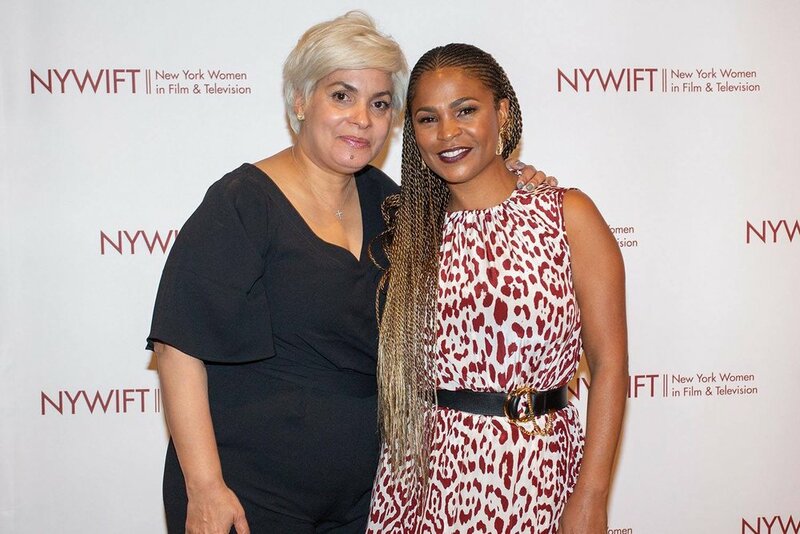 Earlier this week we headed to Stage 48 for New York Women in Film & Television (NYWIFT) for their 19th Annual Designing Women Awards which was co-produced by Variety Magazine with sponsorship by Netflix. This event honored advocates for equality in the moving image industry and supports women in every stage of their careers and was attended by actors, producers, directors, writers, fashion industry leaders and designers. The night was aimed towards celebrating distinguished makeup artists, hair stylists and costume designers that work tirelessly to create the characters on screen in film, television and digital media. Actors Christine Ebersole and Maggie Gyllenhaal presented hair stylist Anita Lausevic with a Designing Women Award, along with a special video tribute from Mark Feuerstein. Costume Designer Dana Covarrubias received her award from actor Jamie Lee, with Lena Waithe sending her well-wishes via video. Actor Nia Long celebrated makeup artist Martha Melendez, along with Elizabeth McGovern chiming in via video. Debra Monk presented Variety’s Ensemble Award to the acclaimed Amazon series Mozart in the Jungle for its makeup, hair and costume design teams.